"In the eyes of children life is reinvented"
The "Milonga Solidaria" is an event evening of Argentine tango promoted and organized by the Ixnous association in partnership with the City of Livorno, with Faitango and with 42 European Tango Associations. It enjoys the patronage of the Argentine Embassy. The purpose of this initiative, which takes place every June in the wonderful setting of the Terrazza Mascagni in Livorno, and in which more than 1300 people participated last year, is a fundraising event for CICOPS, a non-governmental Argentine association that manages The Espacio Cultural de Socorros Mutuos "Casa Torquato Tasso", in the poor neighborhood of La Boca in Buenos Aires. There will be a refreshment point throughout the duration of the event, with drinks, sandwiches, coffee and more, run by: Sport Insieme Livorno, Amateur Association ONLUS (SIL), for Disabled, which deals with the promotion and dissemination of sport activities for people with disabilities. There will be ready an ambulance of the Italian Red Cross throughout the event. In the event of bad weather, the Terminal Cruises, a beautiful salon in Livorno Harbor, is planned as an alternative location, in front of the suggestive Fortezza Vecchia (Old Fortress). It is about 30 minutes' walk from the Terrazza Mascagni, a few minutes by car. Each year, dancers of both sexes from all over Italy and abroad gather in the city of Livorno on the occasion of the Milonga Solidaria, an event now well known to the “tanguero” people and that therefore would not need too many introductions. It would instead be natural to ask, seeing such a gathering that is growing at each edition, which is the impulse that moves it. Well. Suffice it to say that these numbers are the simple result of two multipliers: tango and solidarity. Two factors that, combined, have shown themselves capable not only of aggregating but, in these difficult, to say the least, times, of eliciting a movement of generosity from each of us. If in the end we add to all this the extraordinary beauty of the place that welcomes the event –-the Terrazza Mascagni – and the active participation of tens of association and schools joining in the event, the result is not only self-explanatory, but it is inevitably guaranteed: a large party full of energy and joy that can be felt in a concrete way overseas, in the very heart of the city of Buenos Aires, where a group of people committed to removing the poorest children of La Boca from the streets expect every year our contribution in order to pursue their stubborn and generous goal. 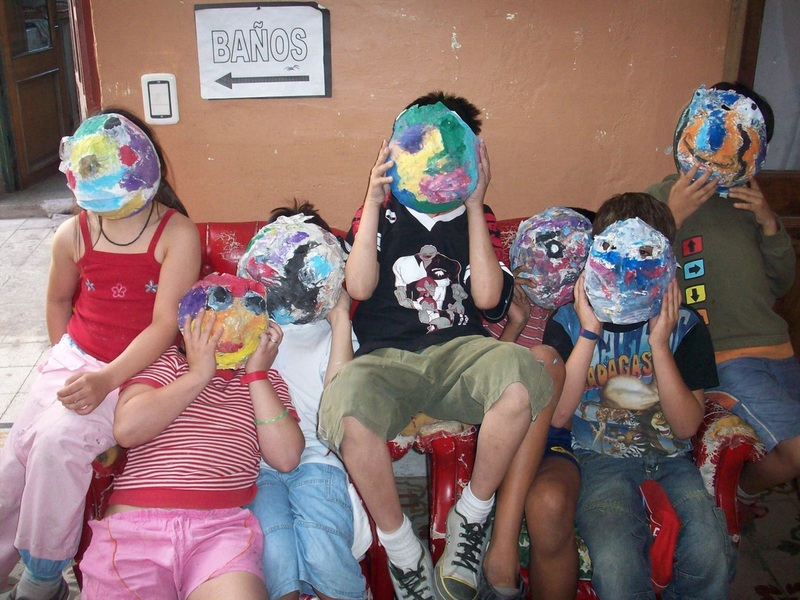 Hence the movement that shapes our milonga: 'En los ojos de los niños la vida se reinventa'. And hence our invitation to everyone to participate this year as well. Again, let’s not let them miss our helping hand. Thank you. 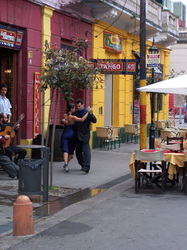 The idea of the Milonga Solidaria was created in 2005 from the meeting, in Buenos Aires, of Carlos Ansò, one of our members, with Natalia Franchi, a teacher of tango at the NGO CICOPS, which for 18 years has been developing projects for the population (in particular children and the elderly) of La Boca, a poor district of Buenos Aires. 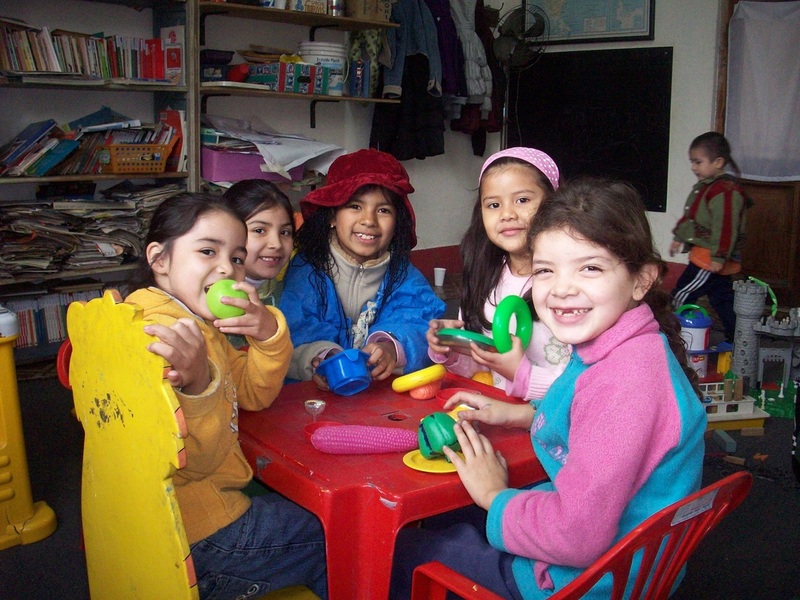 The Centre aims to promote the health of individuals and communities through activities that stimulate creativity, that concern speech and respect for others, produce supportive social ties, recover the collective memory and contribute to shaping history with freedom and autonomy. At the same time the association IXNOUS has been engaged for years in the popularization of the Argentinian culture through the organization of milongas and other events with social and cultural purposes. 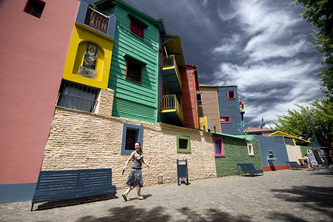 Through CICOPS it cooperates with "Abuelas de Plaza de Mayo" and "Madres de Plaza de Mayo Linea fundadora". In fact, the founders of CICOPS were the comrades, we can say the survivors, of many young people " desaparecidos " during the years of the Videla dictatorship. Their current social commitment with the activity of Casa Torquato Tasso is a way to give continuity to the political struggles for freedom and justice fought during the years of their youth, and that many of their peers have paid with their lives. For the same reasons they cooperate with Madres and Abuelas in their efforts to recover the "Collective Memory" to build a future of justice and truth.